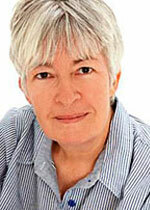 Juliet Marillier (birth name, Juliet Scott) was born on July 27, 1948 in Dunedin, New Zealand. Her family originally came from Scotland and Ireland. Juliet was educated at Arthur Street Primary and Otago Girls' High School. She later attended Otago University, where she graduated with a Bachelor of Music Degree with first class honours, and a Bachelor of Arts in languages. Juliet was a Canadian Commonwealth Scholar in 1971-2, studying music at the University of Toronto. Juliet has taught music at high school and university level in both New Zealand and Australia. She has performed as a singer in opera and other fields, and has a background in choral conducting. She joined the Australian Commonwealth public service in 1989 and worked in various government jobs for thirteen years. Juliet's first novel, Daughter of the Forest, was published in 1999 by Pan Macmillan Australia. It was well received by readers and critics, with US and UK editions and various translations being published in following years. The next two books in the Sevenwaters series, Son of the Shadows and Child of the Prophecy, were published in 2000 and 2001. The author then branched out into Norse history and folklore with Wolfskin and Foxmask. Juliet gave up her day job to become a full time writer in 2003. Juliet has four adult children and six grandchildren. She lives in Western Australia, where she shares her home with a small pack of rescue dogs. Juliet's novels combine historical fiction, folkloric fantasy, romance and family drama. The strong elements of history and folklore in her work reflect her lifelong interest in both fields. However, her stories focus strongly on human relationships and the personal journeys of the characters. Juliet is a member of the druid order OBOD (The Order of Bards, Ovates and Druids) and her spiritual values are often reflected in her storytelling – the human characters' relationship with the natural world plays a significant part. As well as her books for adult readers, Juliet has written three novels for young adults and has contributed short fiction to several anthologies.